No need to spend time chewing your pencil, just get down to some concentrated thinking and who knows what you might come up with. Buy them here. 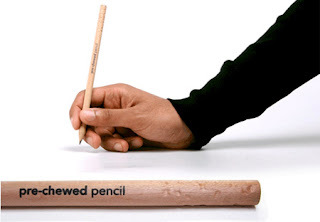 I'm wondering still if I want a pre-chewed pencil? ?